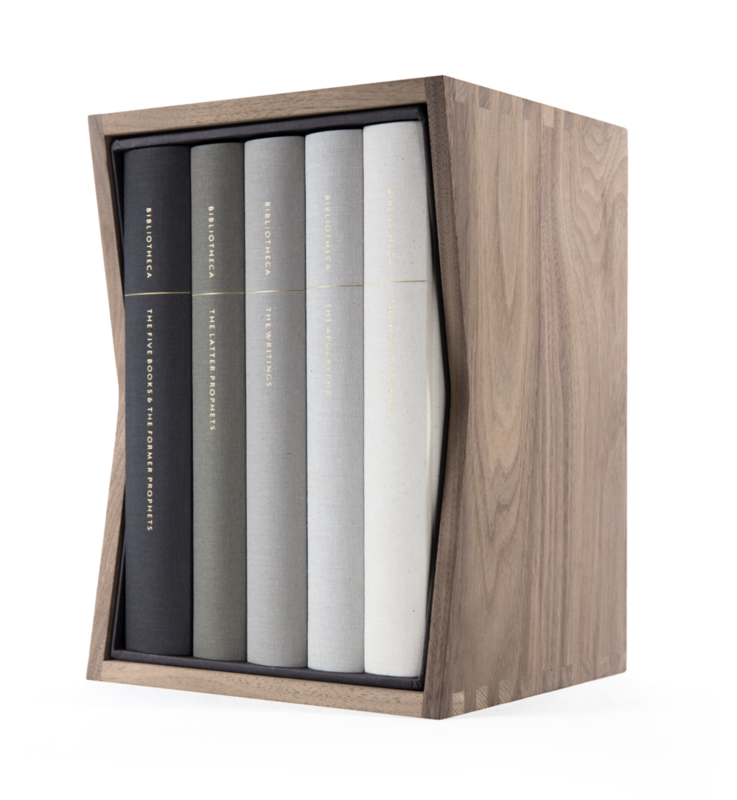 Bibliotheca is an elegant, meticulously crafted edition of the Bible designed to invite the reader to a pure, literary experience of its vast and varied contents. 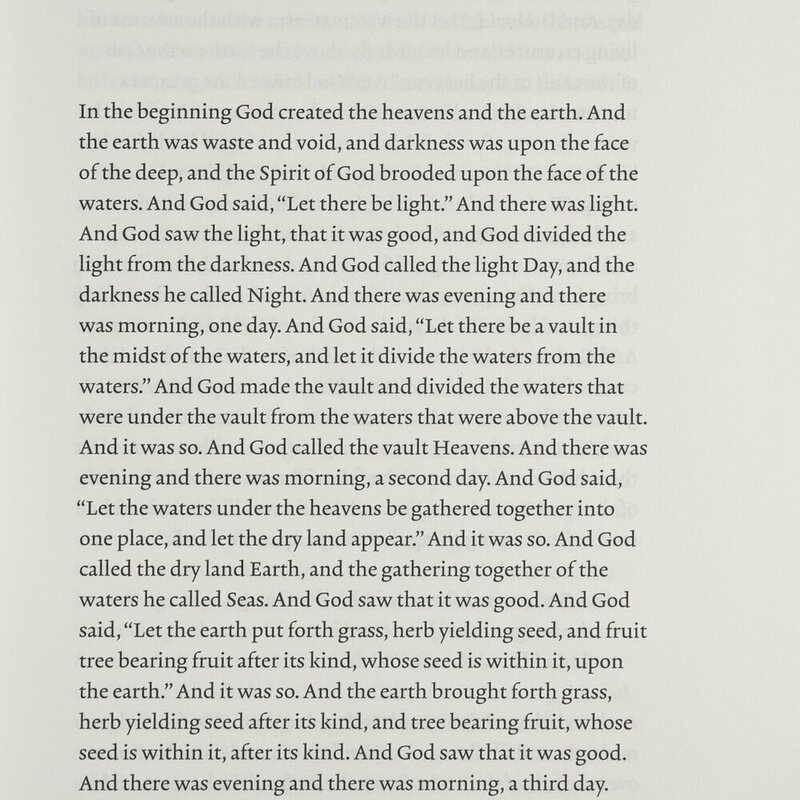 The text is treated in classic typographic style, free of all added conventions such as chapter and verse numbers, section headers, cross references, and marginalia. Watch the video to hear designer Adam Lewis Greene describe his vision and process. 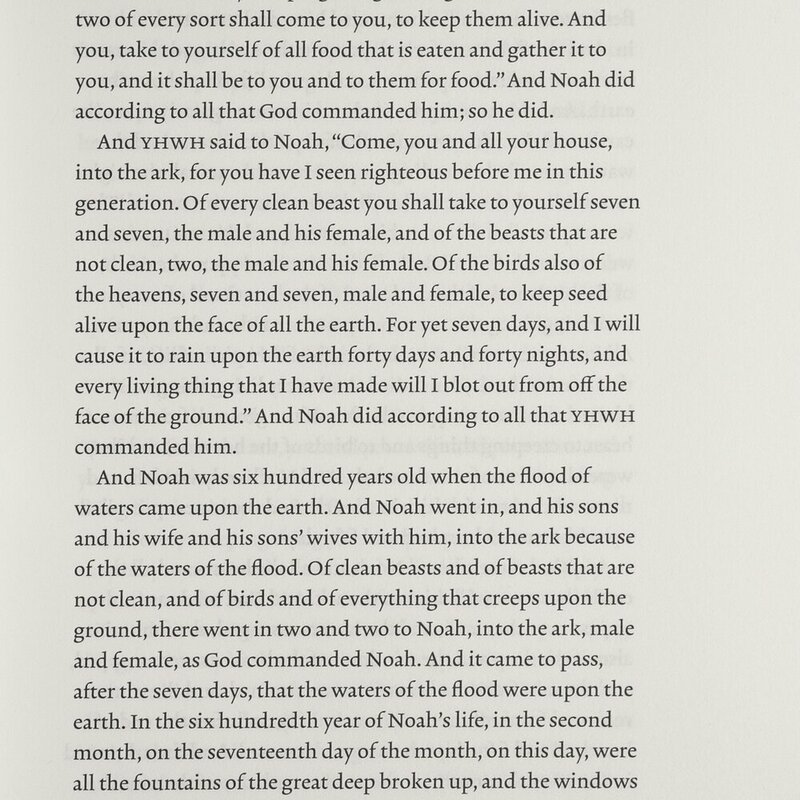 A typographically elegant multivolume edition of the entire biblical library. Responsibly manufactured in Germany by the skilled craftspeople at Kösel, a family-owned and -operated company founded in 1593. Smyth-sewn lay-flat binding for comfortable reading. Acid-free mineral paper (made of limestone chalk instead of wood pulp), quarried and made to order in Austria. Bespoke, pure cotton book cloth, made in Holland. A complete, scholar-reviewed update of the exceptionally accurate 1901 American Standard Version. An original typeface optimized for readability and specially designed for this edition. Sign up with your email address to receive news and updates about Bibliotheca.